Some girls have tattoos, but Lucy Morgan bets none of theirs come to life. The fact that Lucy’s tattoo occasionally decides to snake up her arm means short skirts and string bikinis are out. Fashion turns out to be the least of Lucy Morgan’s worries. When she finds out her magical tattoo gives her powers that help her defend humanity from evil paranormal beings, Lucy is confused. She doesn’t know anything about killing monsters, and has no idea how to control her powers. Mostly she’s confused about her feelings for another Ink Mage, Daniel Mills. There’s something decidedly dangerous about him. Her bad boy radar is going off, and all she can think about his exotic, baby blues. She discovers they aren’t the only Ink Mages at school. Lucy is different, however. Not only is her tattoo magical, but she herself can perform magic. Something no other Ink Mage can do. As if things couldn’t get any worse, someone is going around trying to kill Ink Mages. That person is an Ink Mage, an Ink Mage who, like Lucy, can perform spells. Daniel, like everyone else, not only thinks she might be dangerous, but also a killer. He switches between kissing her and refusing to even look at her, let alone admitting his feelings. If they survive, the pair might find love. She just has to prove her innocence first. Then she can decide if she forgives him for not trusting her in the first place. Ink Magic was a short read so it only took me a day to read. I was surprised at how much I liked it. Lucy Morgan has a strange tattoo that has grown from the size of a dot since she was a child. It changes when she's close to supernatural beings giving her the abilities to take them on. We quickly meet Daniel Mills, the boy with dark hair and beautiful blue eyes. One minute he's possessive over Lucy the next he's ignoring her. Lucy quickly finds herself in danger as word of her special abilities gets around and she finds out that she's not just an Ink Mage, she's an Ink Sorcerer. 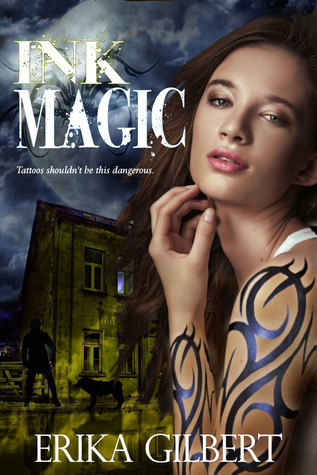 Ink Magic is a great short read with supernatural creatures, magic and romance so I gave it 4 stars.